The President of Burkina Faso Roch Marc Christian Kabore is expected in the Nigerien capital Niamey Monday, where he will take part in the first conference of heads of state and government of the Climate Commission for the Sahel Region (CCRS), according to a communiqué issued by the Presidency. According to a statement signed by the Communication Directorate of the Burkina Faso Presidency CCRS was created on the sidelines of the COP 22 held in Marrakech in Morocco in 2016. The commission boasts 17 states in the Sahel region. 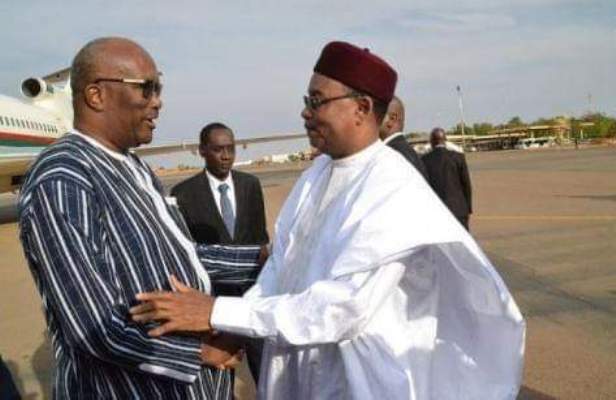 Niamey on Saturday hosted the third ministerial meeting of the CCRS ahead of Monday’s conference of heads of state and government. The summit meeting will be followed, Tuesday, by a roundtable on the financing of the Sahel climate priority program. Niger holds the chairmanship of the CCRS since its creation by the Rabat World Climate Summit in Morocco in 2017.